It is astonishing to think that over 2.27 billion people spend an average of 50 minutes a day scrolling through Facebook. This presents a huge opportunity for marketers. But the days of free Facebook traffic are gone, even if you do have a lot of followers. To get your ads in people’s Facebook feeds now, you have to pay. The good news is that Facebook advertising services are both effective and affordable. Facebook advertising offers businesses an incredibly sophisticated way to reach new customers, because their ideal customers are already on Facebook — relaxed, reading, liking, and scrolling. Facebook’s targeting power is unlike anything else out there when it comes to getting in front of the right people — and every year it gets better. You can now upload your own email list, create look-a-like audiences and even target people who have visited your website. If you are still in the process of building an audience, you can now get in front of new, highly-targeted audiences. For example, you can show your ads to Facebook users in your zip code, of a certain age, and with specific interests (like dog lovers) or academic degrees. The possibilities for creating custom audiences are endless and get better every year. This is because Facebook works with the major data aggregators to understand audiences across all of their behaviors, not just how they behave on Facebook. In the world of advertising on social media, Facebook is proving to be the best investment you can make — IF your audience is on Facebook. Keep in mind that organic (free) Facebook content reaches only about 2–3% of a prospective audience. Paid traffic will reach a very targeted audience that is as large as your budget allows. And Facebook ads are easy on the wallet. Facebook has a much higher ROI than Adwords, the local paper, weekly mailers or Yelp. Plus, you will know within 3–5 days whether or not your ads are working, so you don’t over-invest in something that isn’t effective. You can test and perfect your ads for a very low cost, as little as $5 per day per ad. If you are wondering where to start, with paid ads keep in mind that you do not need to have an active Facebook page. However, you will need a Facebook business page, an advertising account, and you will need to learn how the Power Editor works. And make sure you have somewhere to send your Facebook audience to from your ad. We recommend that you design a solid funnel strategy that includes an enticing offer, a professional and persuasive landing page, and a process for capturing and storing email addresses. 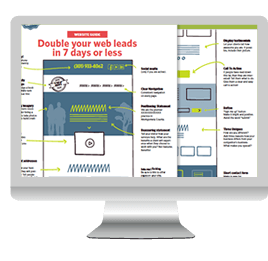 If your website visitors are not ready to buy right now, consider adding them to a lead nurture campaign. Brand awareness is not enough any longer: you will need to deliver real value in your ads in the form of an offer of valuable content. Video content is seeing the highest engagement in 2018, with carousel ads a close second. And quality really does matters when you are putting your ads together. Avoid saying anything negative or spammy-sounding in your ads, because Facebook may reject your ad outright, or pull it after it starts running. Facebook’s primary goal is to protect the experience of their user, not their advertiser. They do not like content that is off-putting or negative. And make sure your landing page matches your ad. Facebook checks to make sure your ad copy is consistent with your landing page. Now and always, it’s important to start with a goal, and then determine which ad format is likely to drive the most engagement (image, video, slideshow, or a featured blog post?) In 2018 it has become a solid strategy to let Facebook optimize where it shows your ad (desktop vs. mobile). Keep in mind that if your conversions are handled at your website, not on Facebook, you will save a bundle on your ad budget. Test. Test. Test. Think of the first 2-3 months of each campaign as a laboratory experiment. Test different audiences, imagery, and messaging at $5-$10 / ad. Let each ad run for at least 48 hours and 1000 views before making any changes or turning any off. Test one variable at a time in unique ad sets. Then put your budget behind the ad that drives the most engagement. While you may see immediate results, in most cases you will need to experiment a bit first. Speaking of conversions, 2018 industry benchmarks show that the average cost per click (CPC) in the United States is 28 cents, and the average cost per Like is 23 cents. These are good benchmarks to test your ads against. Finally, review Facebook’s ad policies every quarter: they are often updated and you need to stay on top to ensure that your ads run to the largest and best audience possible. Facebook’s goal is to provide positive, relevant experiences for their audience. Want to discuss how your business can grow using Facebook advertising services? Send me an email and let’s schedule a call! [email protected].